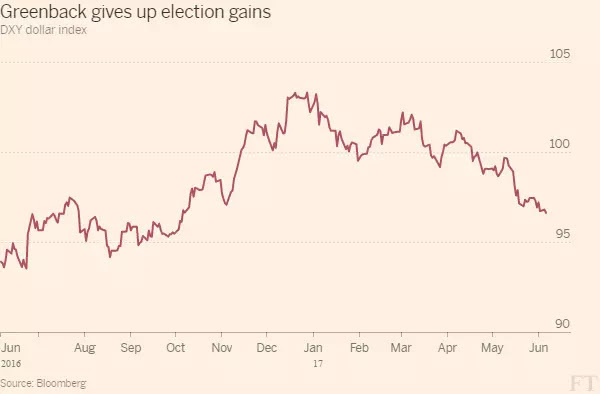 The dollar has dropped to its lowest since before the U.S. presidential election in November. It is flirting with lows not seen since October. This is only the beginning folks. Given the amount of money the Federal Reserve has pumped into the system coupled with an erratic appearing president, the pieces are in play to cause foreigners to flee the dollar.